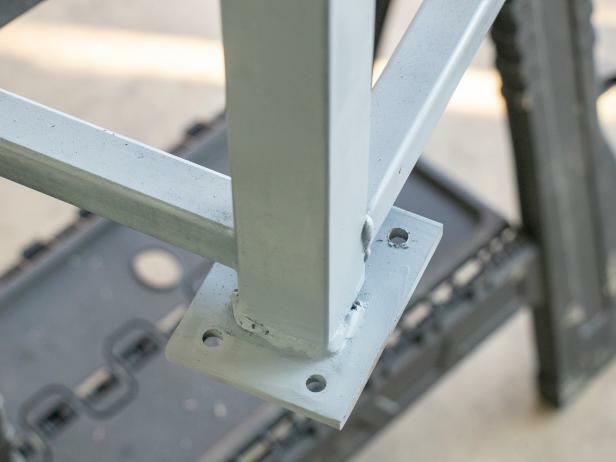 Any good steel yard will cut your order to your exact measurements and that’s a good thing. 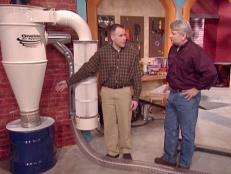 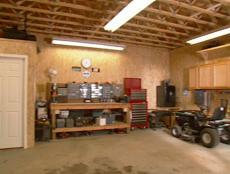 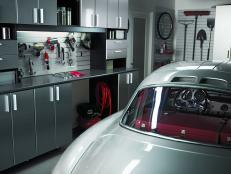 Working with pre-cut steel will make your life easier and keep your garage a lot cleaner. 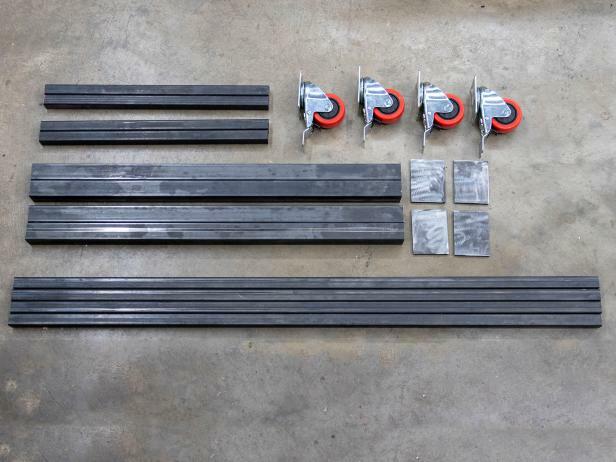 Make sure to ask for 16-gauge steel, it’s easy to work with and plenty strong for any beginner project. 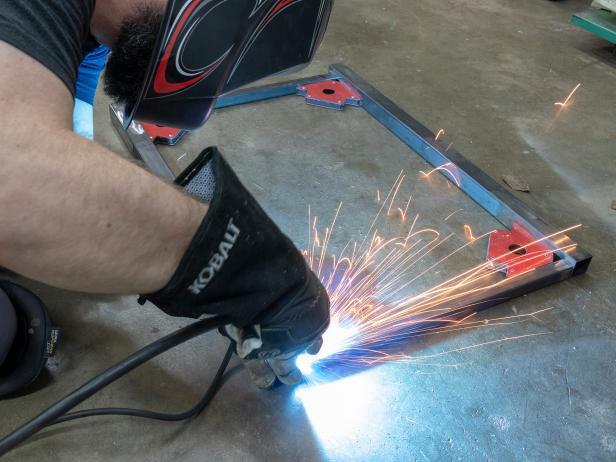 If this is your first welding project, start with this feature on MIG welding basics for the tools and information you’ll need to get started. 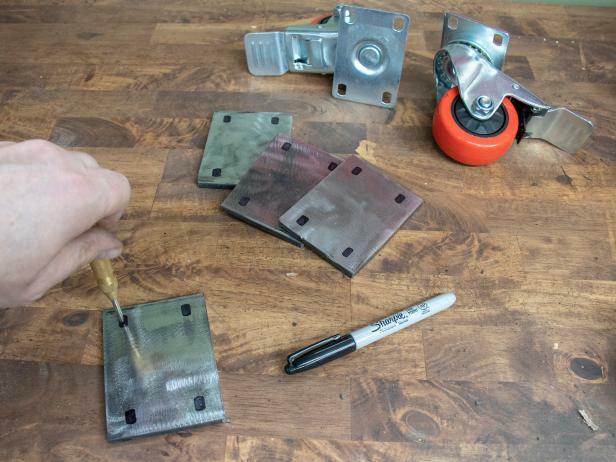 Since you’ve saved time by not cutting the steel, it’s a good idea to invest a little extra making sure it’s ready to weld. 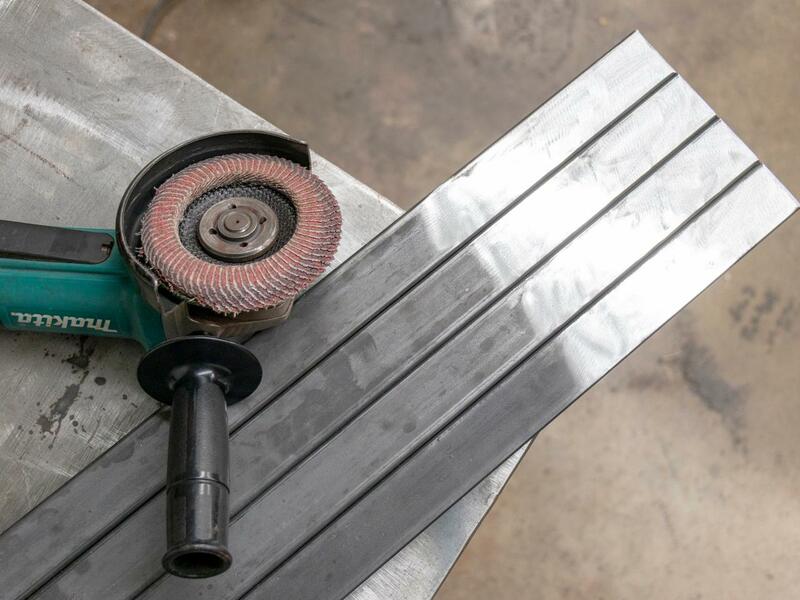 Use an angle grinder with a ceramic flap disc to clean the ends of all the steel tubes and the tops of the caster plates. 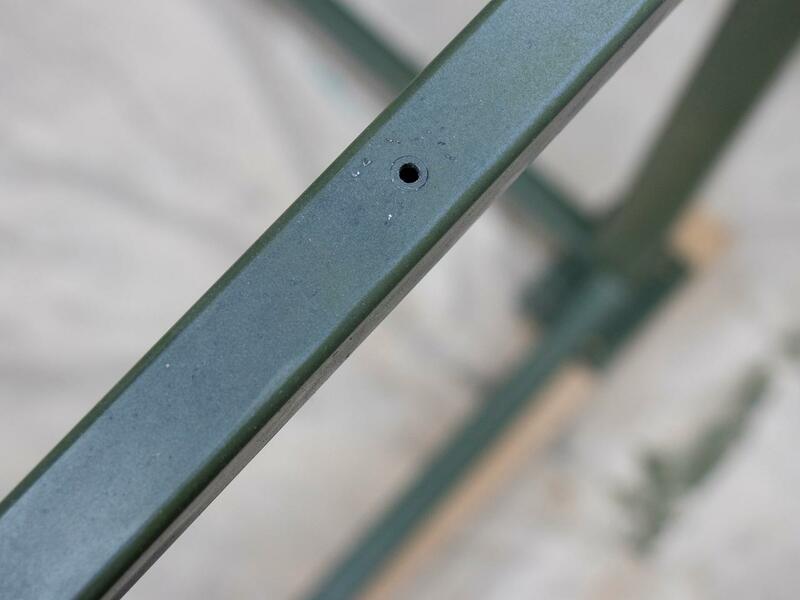 You want to see clean, bright steel all the way around each end of every piece of steel. 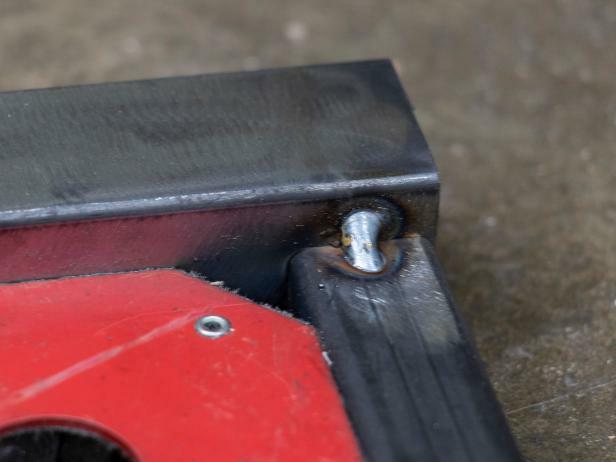 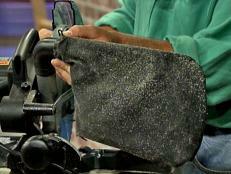 This will help you make strong clean welds and make it a little easier to see what you’re doing. Starting with two of the 31-1/2” legs and two of the 20” braces, lay out a rectangle that will form one side of the bench. 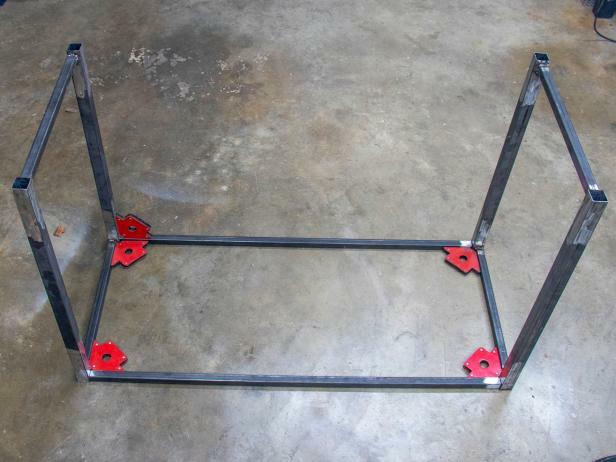 Place the short top piece flush with the legs and for the lower brace, place it about a 2” from the bottom of the legs. Use four 90-degree welding magnets to hold everything together and square. 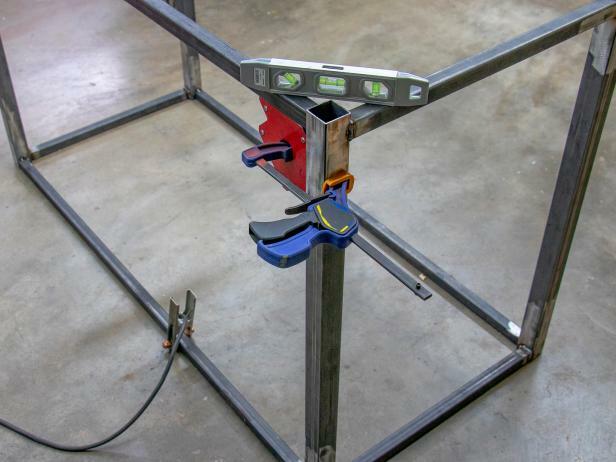 Once you’ve got everything aligned and square, place one tack weld in each corner to keep things from moving around. Check it for square one more time and then finish your welds all the way around each joint. 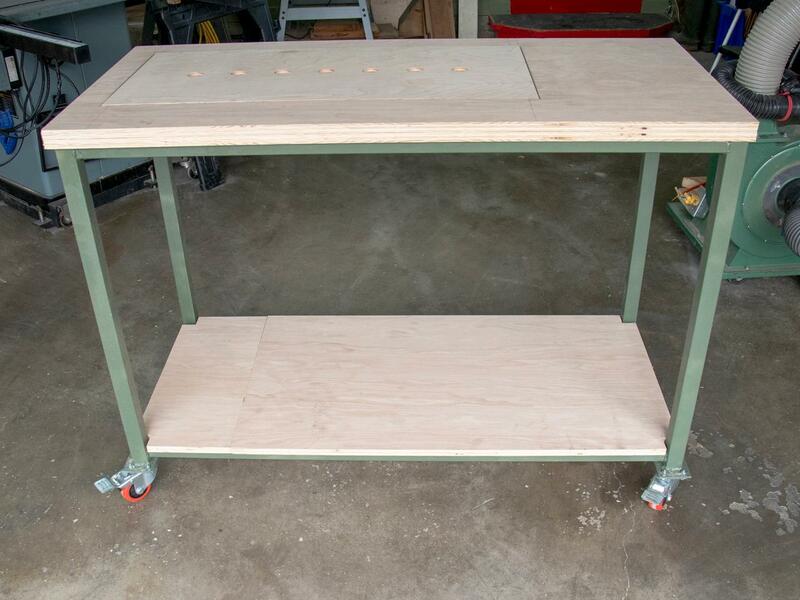 Do the exact same thing for the other set of legs. 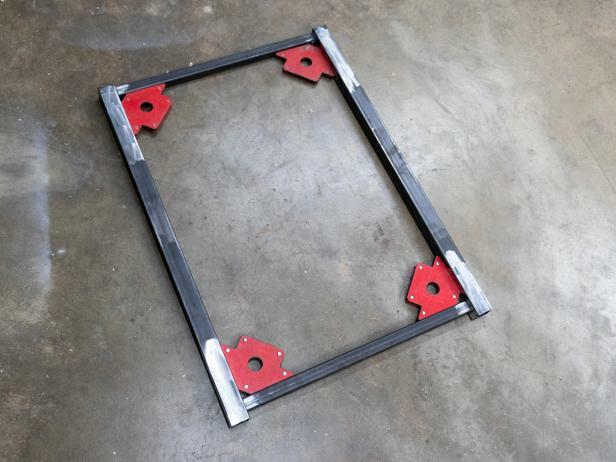 With the feet pointed upward, use magnetic squares to hold the tabletop stretchers in place and then add a sturdy tack weld in each corner. Flip the base over and use your magnets to hold the table’s bottom stretchers in place. 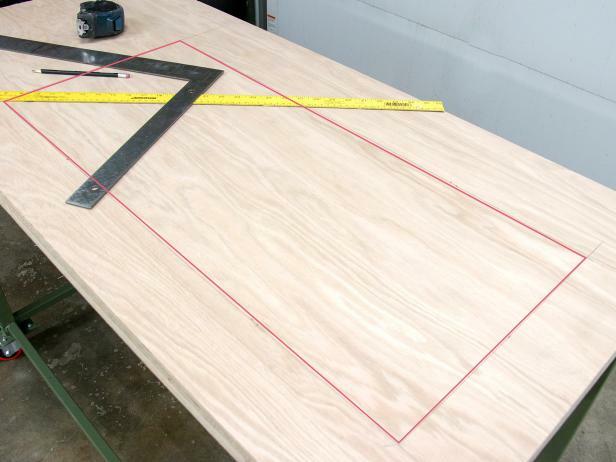 Use a small level to make sure that they’re both level and square to the sides. Tack weld the bottom stretchers in place, measure everything one last time for squareness and finish your welds all the way around each joint. 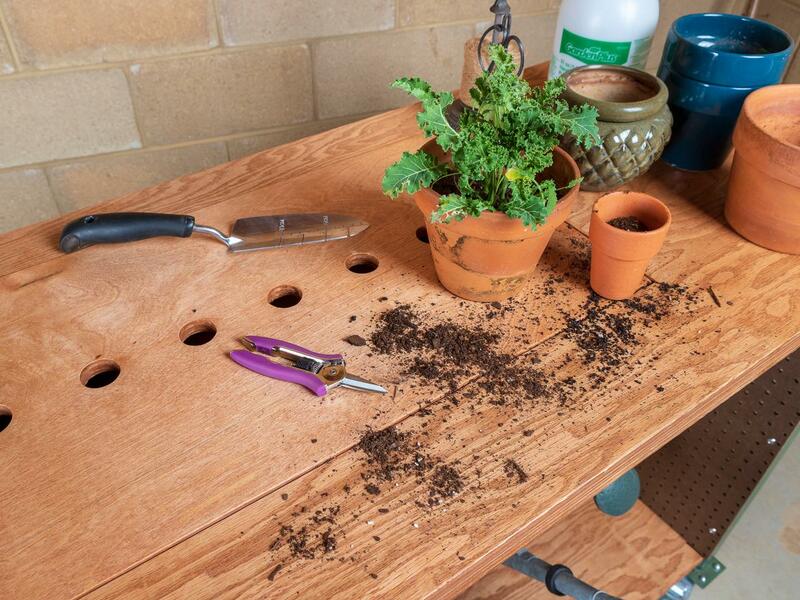 Use the casters as a template to mark the locations of the holes on all four caster plates. 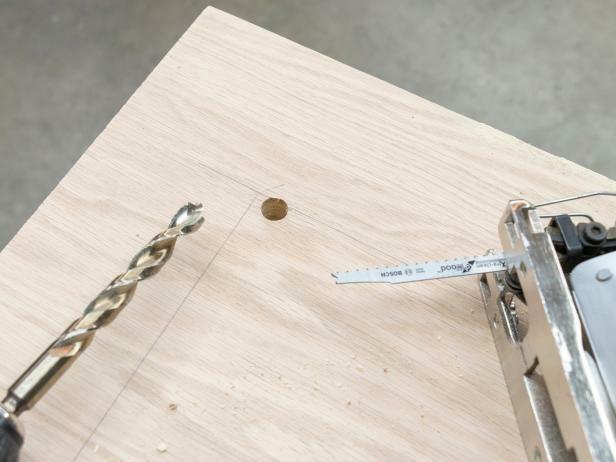 Use a center punch to put a dent in the middle of each one to help your drill get started. 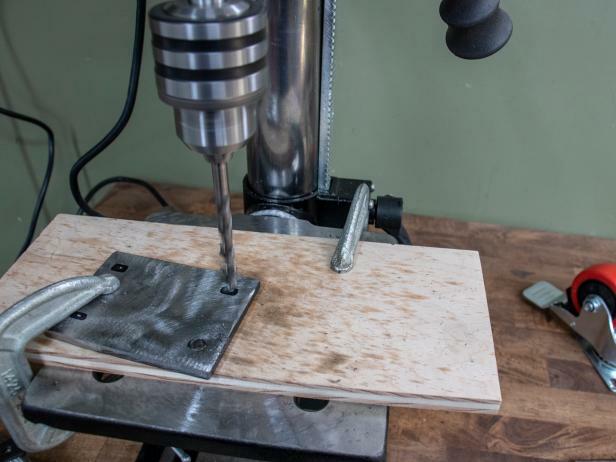 Mild steel is actually pretty easy to drill as long as you go slow. Steel requires a slower drilling speed than wood does, so whether you’re using a hand drill or a drill press, just slow it down a little bit. 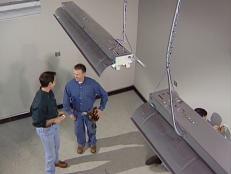 It’s a good idea to put a little 3-in-1 oil on the bit periodically to keep things from overheating. 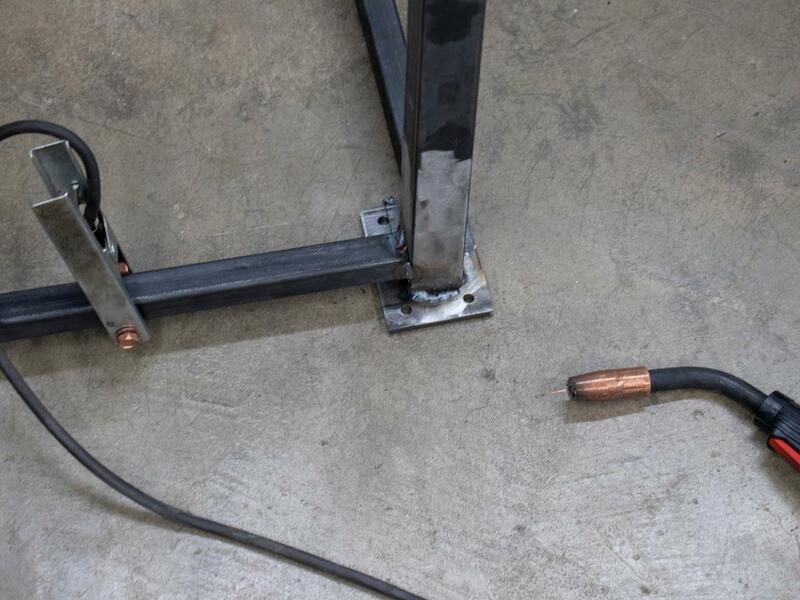 At this point, you’re finished welding everything together. 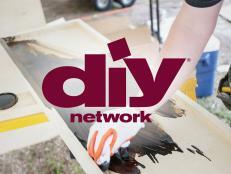 You can add primer and then a coat of paint to the entire frame. Make sure to flip it over and paint the undersides to help prevent rust from forming. 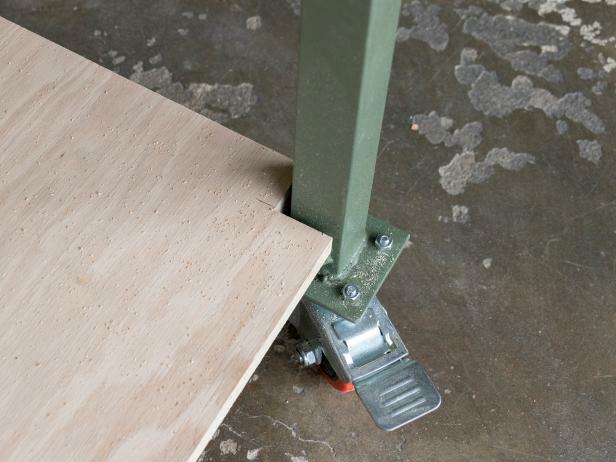 Bolt the casters onto the feet before you flip it over, make sure to lock them before flipping, that way things don’t roll away from you. You’ll also want to drill a few holes through each stretcher (top and bottom) to hold the tabletop and the bottom shelf in place. The only requirement for the dry sink is that it needs to have an outer lip. 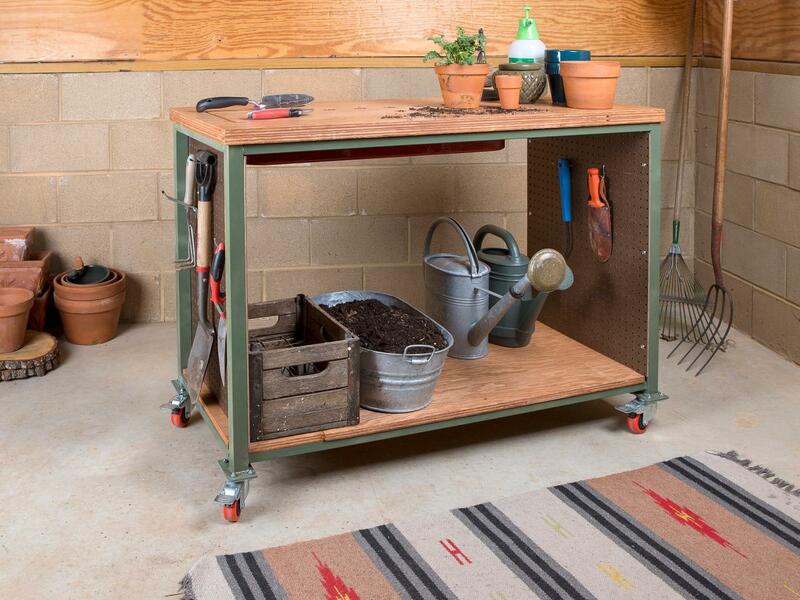 An old metal wagon is ideal for this and is probably not very hard to find. 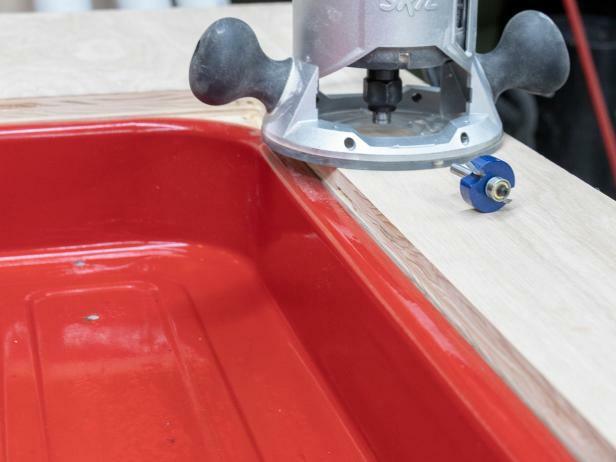 Using the dry sink’s inside measurements, lay out its shape on the tabletop and draw a pencil line where you need to make your cuts. Drill a hole in each corner to accommodate the jigsaw’s blade and cut out the hole. 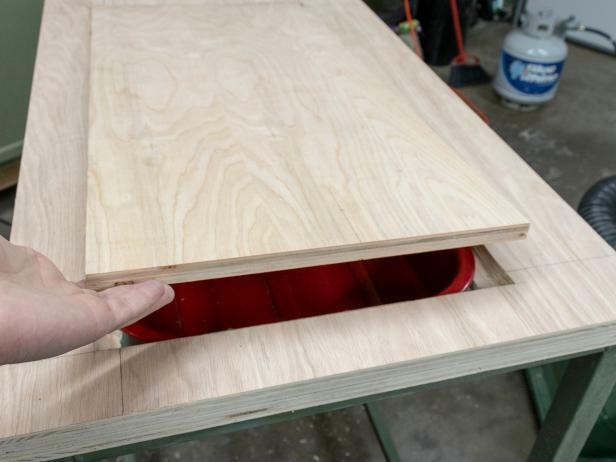 In order for your lid to fit over the sink, you’ll need to recess it 3/4” into the top. 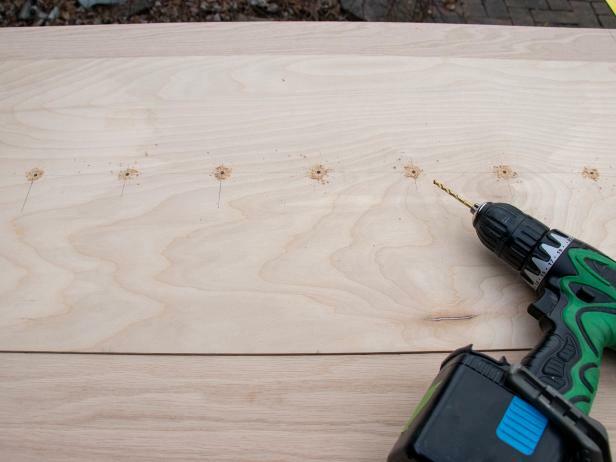 This is easily accomplished with a rabbeting bit on a router. 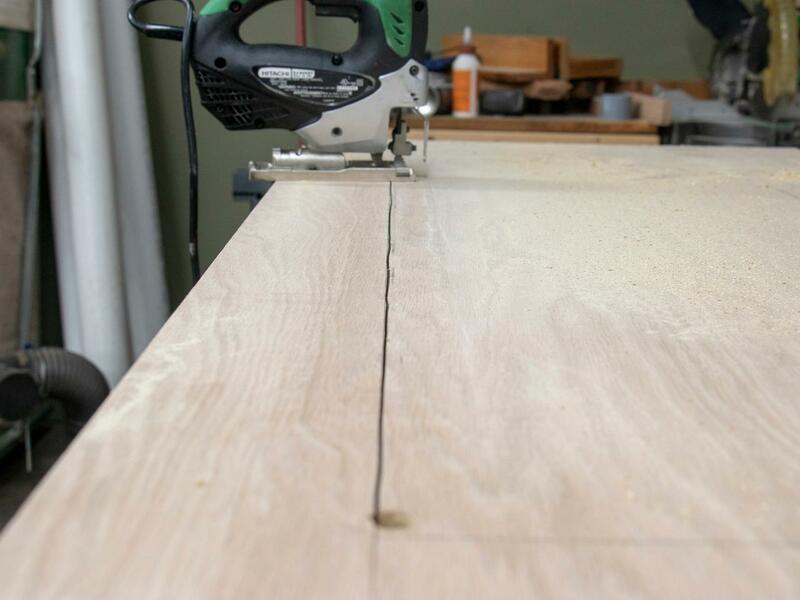 Our wagon tub has a 1/2” lip on it, so we’ll use a bit that cuts a 1/2” rabbet and set the router’s depth to 3/4”. 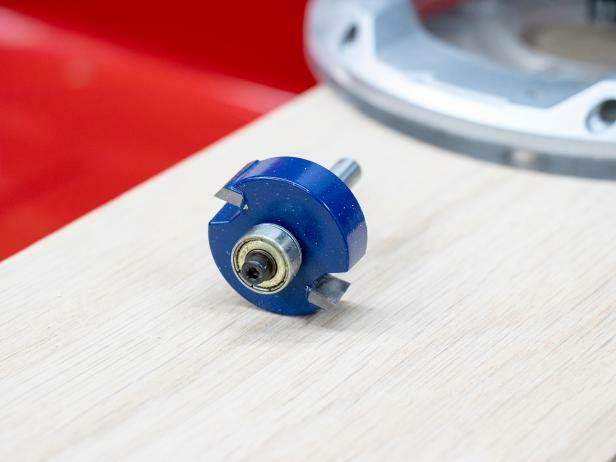 Run the router inside the hole you cut and follow the edge with the little bearing wheel on the bottom of the bit. You’ll need to cut the third piece of plywood for the lids that will fit inside the freshly rabbeted opening. 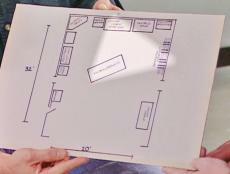 Place the lid on the sink and draw a line straight across the middle or wherever you’d like the sweep holes to be located. 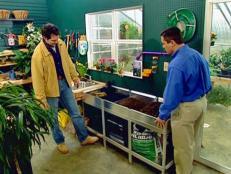 There’s no set rule here, you just need a few holes so you can easily sweep spilled potting soil into the tub. Finish the project by notching the corners of the last piece of plywood so that it will fit underneath your potting bench. 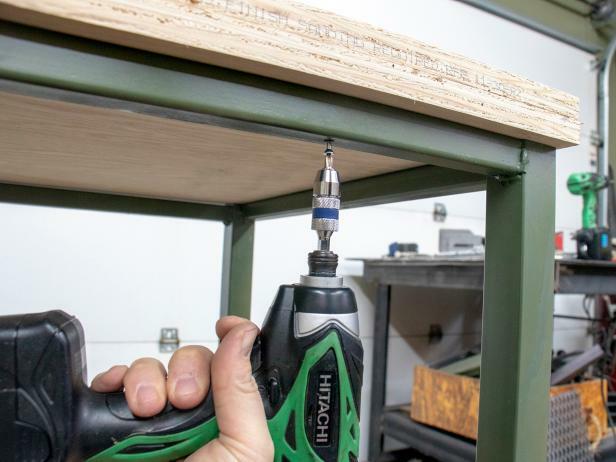 You’ll need to use a jigsaw to place a 1-1/2” notch in each corner and then screw the bottom shelf to the lower stretchers. 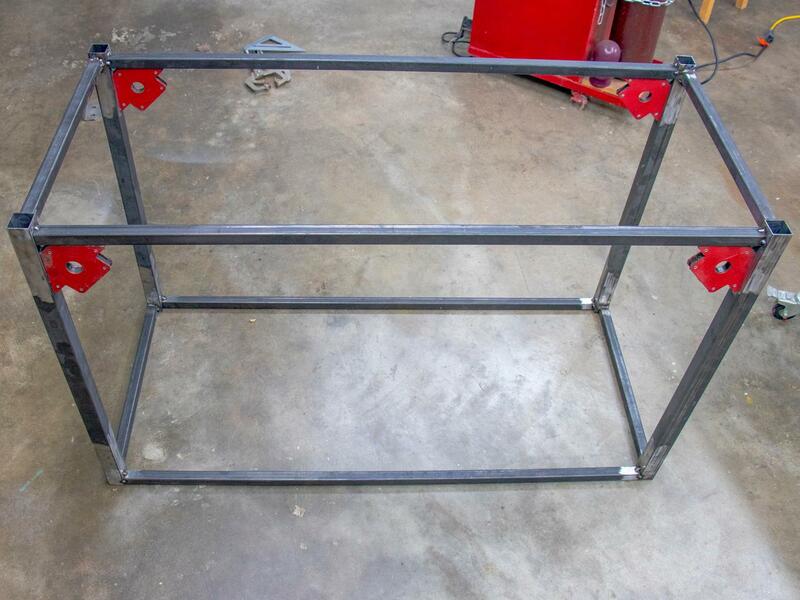 Now that everything is assembled, tape off the metal base and apply paint or stain on the wood pieces. 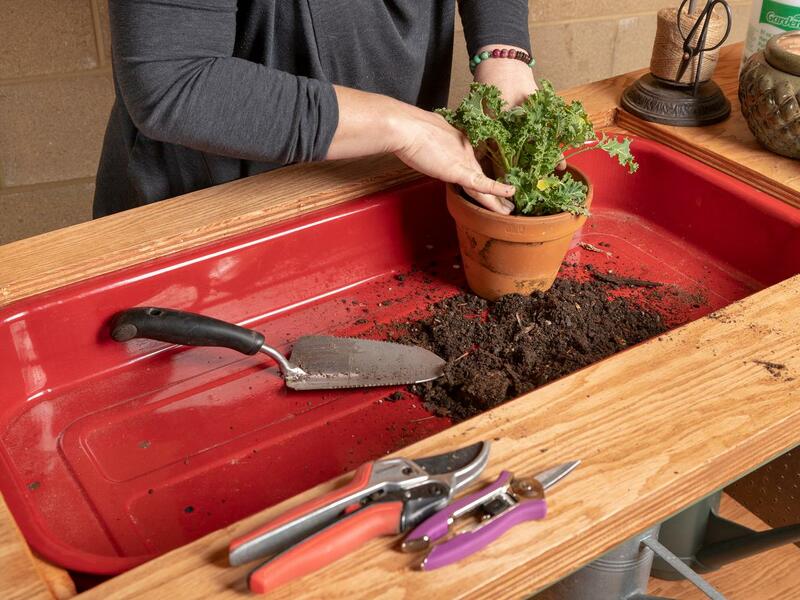 To protect the surfaces of your potting bench from dirt and water it’s a good idea to put a few coats of polyurethane on all of the wood surfaces. 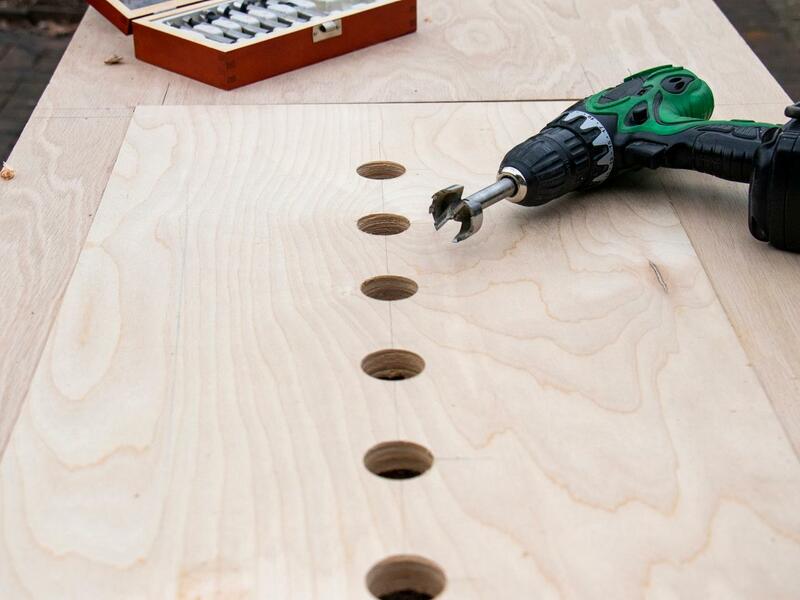 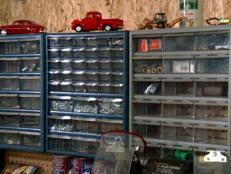 To secure pegboards to the sides, pre-drill a few pilot holes and use sheet metal screws with some finishing washers.